in crafting and I came across a quilling website. I learned the techniques and how to create the different shapes. I enjoyed it so much. 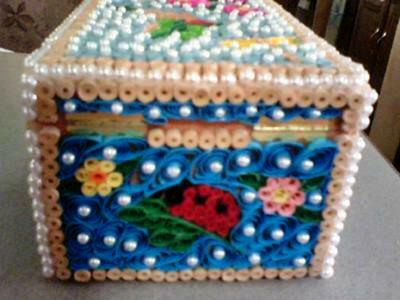 I decided to exercise my own creativity and made this paper quilled jewelry box. It took a week to make all the rolls and designs. I then assembled and glued everything on the box the following week.